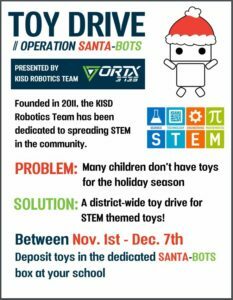 Our award-winning robotics team, VorTX 3735, is hosting a STEM Toy Drive called Operation SantaBots. They are asking for toys that relate to Science, Technology, Engineering, or Math. Collection boxes can be found at every campus and will be available until December 7. Their goal — collect 1,000 toys district-wide! 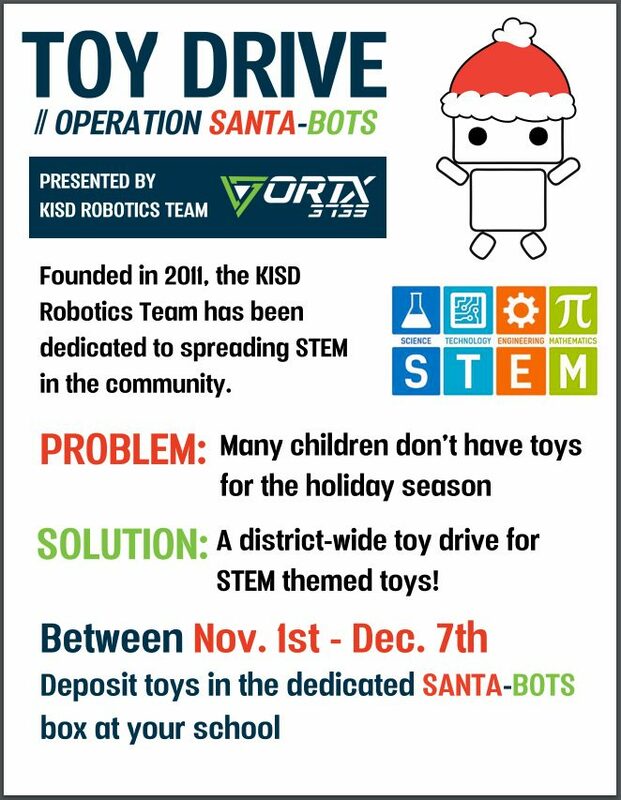 Help VorTX 3735 encourage students to explore their STEM dreams through Operation SantaBots!